Eleven high school students were selected to take part in Leadership High School—a leadership development and diversity awareness program for outstanding high school leaders in the Lone Star College System Service Area. This program is offered to students in the Lone Star College Systems Service Area at no cost. The program leads students to grow their leadership skills through monthly sessions, where they are challenged to examine their own actions and aspirations while learning the stories of key decision makers within the region firsthand. The curriculum is geared toward providing students with an experience through which they can develop a fundamental understanding of leadership and fulfilling a leadership role, while also allowing them to grow closer to their community by making community service contributions. 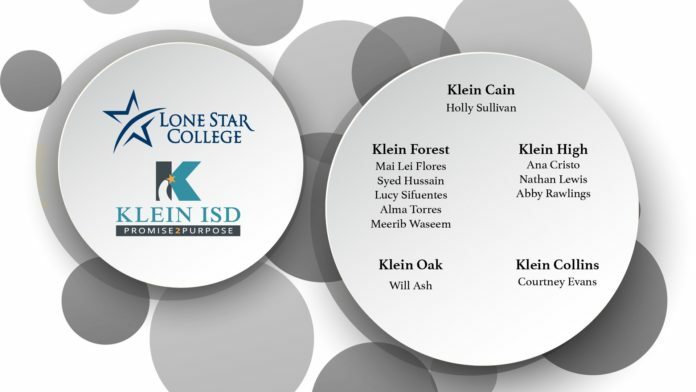 Klein ISD is honored to have these eleven high school students chosen for this program.